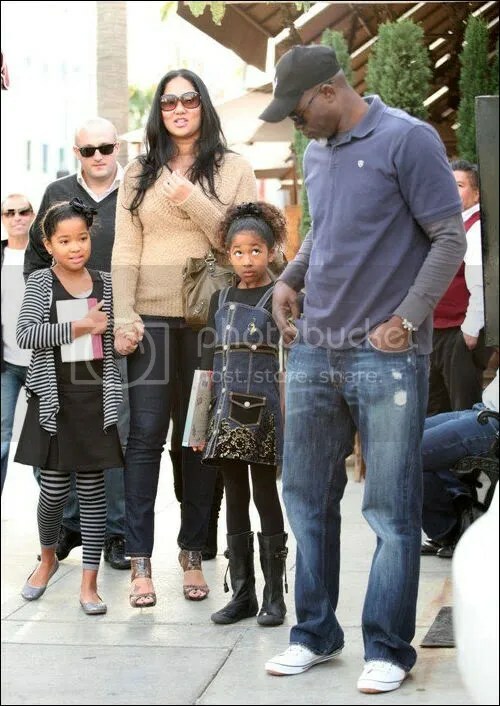 Fashion model/designer Kimora Lee Simmons, daughters Ming, 9, Aoki, 7, and boyfriend Djimon Hounsou went out for a New Year’s Day lunch with friends in Los Angeles on Friday, January 1st. As well as Ming and Aoki, Kimora is mum to son Kenzo, 7 months. The girls’ dad is Russell Simmons while Kenzo’s is Djimon.